"Shooting great pictures has never been so easy!" We wanted to build on this classic claim and still create a communication that has the potential to inspire people on the Web. Building on the very successful viral campaign of 2009, DSG created a stop-motion concept that makes the claim understood very literally and uses Olympus "Great Pictures" mounted on 2.53 m x 3.52 m sized posters. The size of the billboards needed to be implemented in an urban setting.This took place in Bucharest over a two week production schedule. Thus everything that you see in the film was handmade. There was no subsequent editing or computer animation. 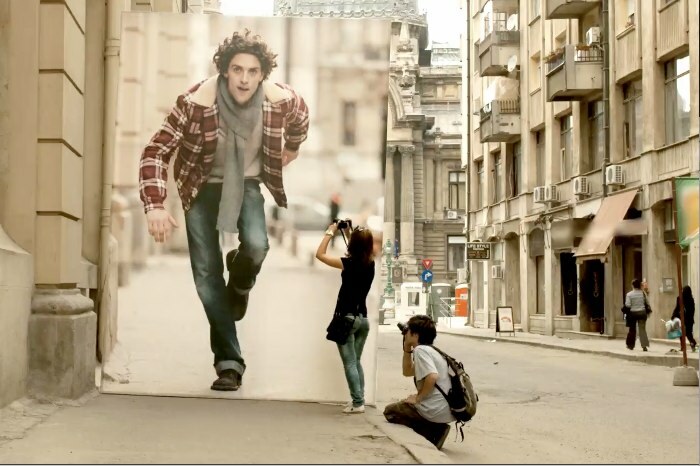 Over 350 billboards were coupled together to produce a stop-motion movie implemented precisely with the camera which is the subject of the movie: an Olympus PEN. The success of this "PEN Giant content" is not only evident in the hundreds of postings on blogs, tweets and likes, but also through 15,000 newfound friends on Facebook.